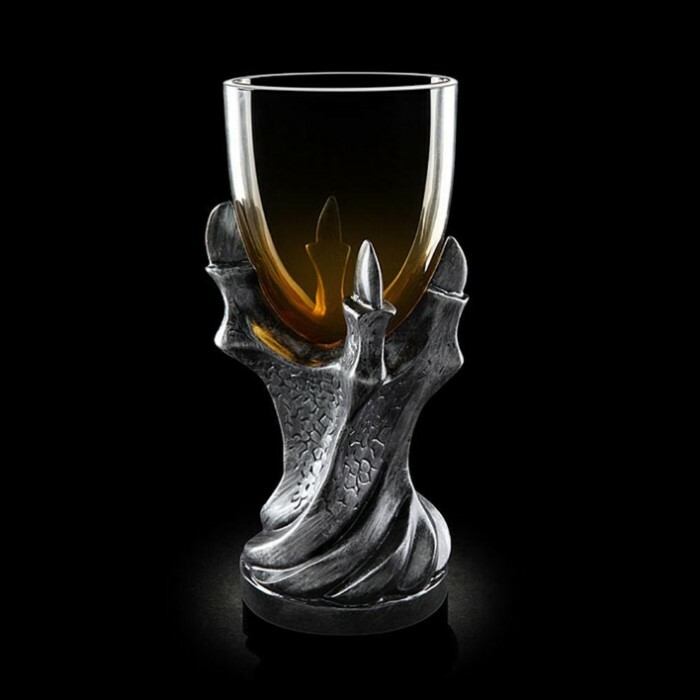 Game of Thrones Dragonclaw Goblet Replica | BUDK.com - Knives & Swords At The Lowest Prices! 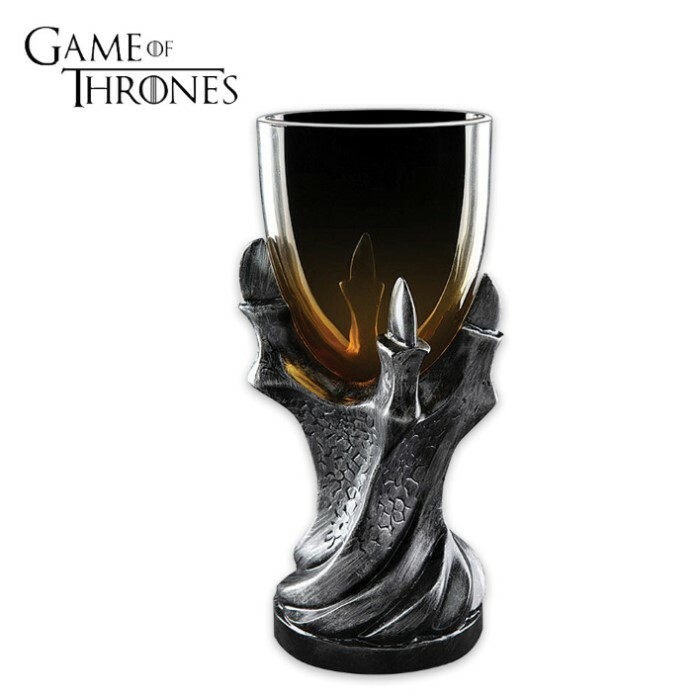 A beautiful replica of a goblet from the House Baratheon of Dragonstone, this is a piece or two that you definitely need to add to your collection, especially if you’re a fan of the hit HBO series. If you’re not familiar with the show, however, this goblet is still perfect to add to any medieval fantasy collection. The basin is a dragon claw crafted in sturdy resin that really looks like metal and it holds a glass bowl that has graduated amber tinting. This really is a striking piece. It is and impressive 3 3/4” x 8 3/4”. Hand wash this goblet only. It is an officially licensed Game of Thrones product.